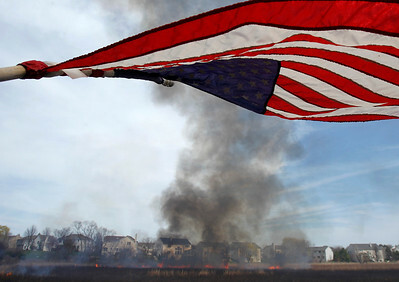 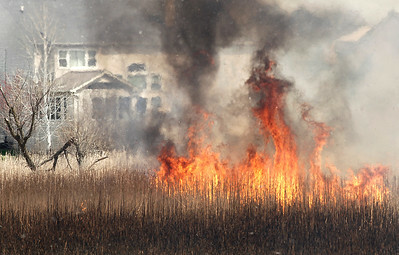 Matthew Apgar - mapgar@shawmedia.com Smoke rises from a wetlands area inside the Harvest Run development on Tuesday, April 14, 2015 in Crystal Lake. 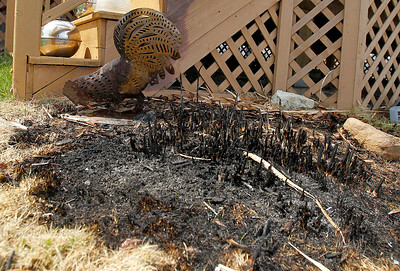 The fire got out of control and damaged multiple residential homes. 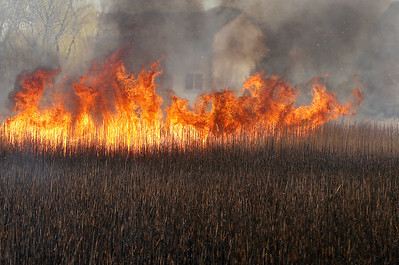 Matthew Apgar - mapgar@shawmedia.com A controlled wetlands burn gets out of hand on Tuesday, April 14, 2015 at the Harvest Run development in Crystal Lake..
Matthew Apgar - mapgar@shawmedia.com A controlled wetlands burn gets out of hand on Tuesday, April 14, 2015 at the Harvest Run development in Crystal Lake. Residents complained of damage to their houses, including melted siding. 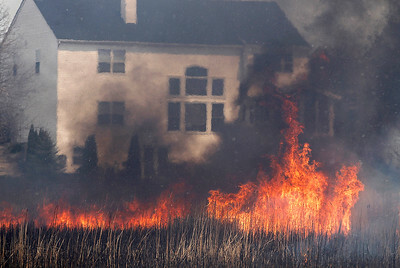 Matthew Apgar - mapgar@shawmedia.com The siding bubbles off of a house affected by a controlled burn inside the Harvest Run development in Crystal Lake on Tuesday, April 14, 2015. 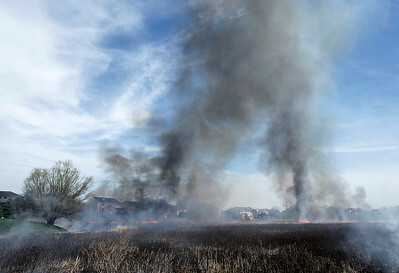 At least six houses were damaged during the fire. 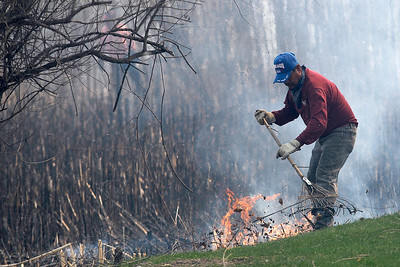 Matthew Apgar - mapgar@shawmedia.com A worker tries to contain the fire to the wetlands area on Tuesday, April 14, 2015 at the Harvest Run development in Crystal Lake. 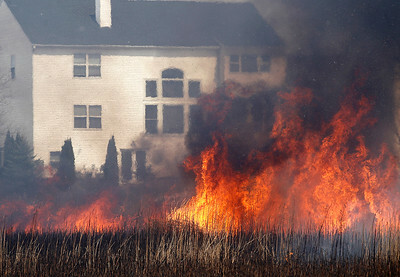 The fire damaged multiple residential homes in the development. 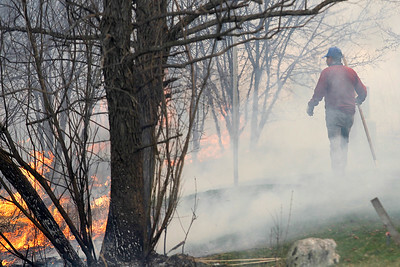 Matthew Apgar - mapgar@shawmedia.com Residential properties affected by a controlled wetlands burn included damage to this deck on Tuesday, April 14, 2015 at the Harvest Run development in Crystal Lake. 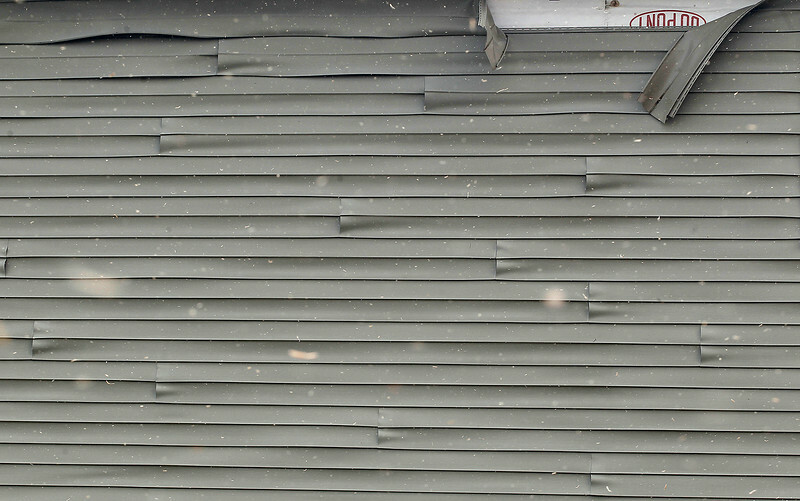 The siding bubbles off of a house affected by a controlled burn inside the Harvest Run development in Crystal Lake on Tuesday, April 14, 2015. 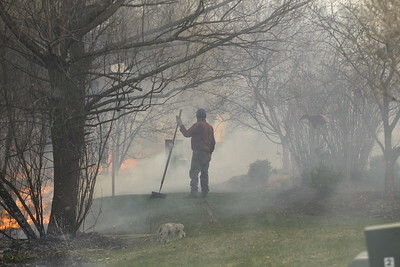 At least six houses were damaged during the fire.